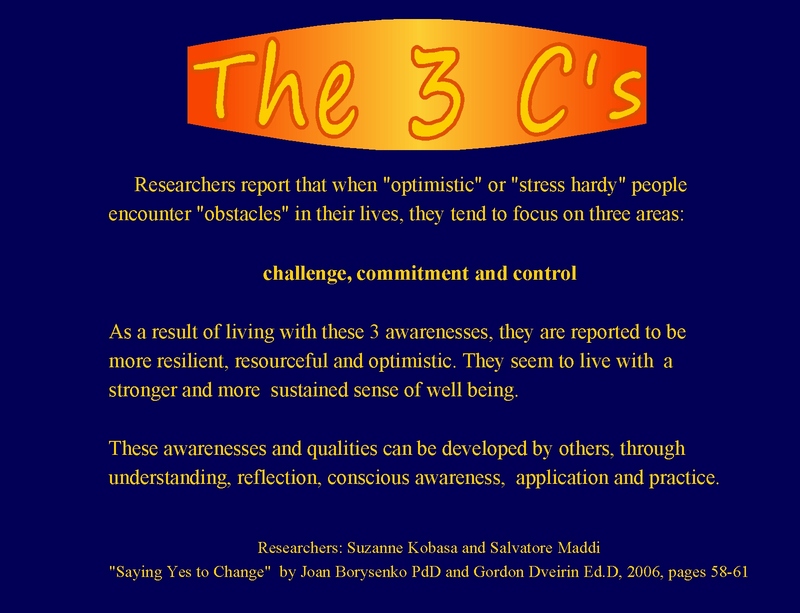 Apparently there are three qualities that researchers have found that optimistic and resilient people tend to use and display when they encounter problems and obstacles. As I wrote above…. 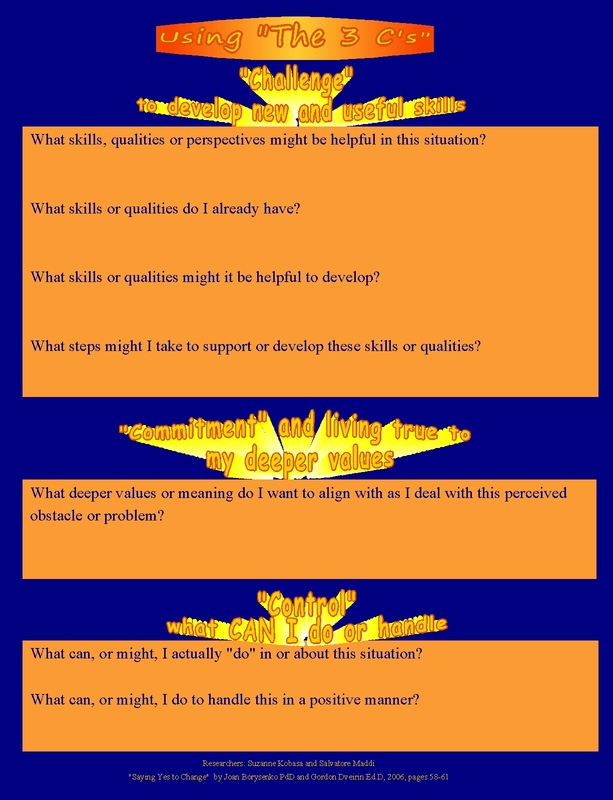 the authors explain that these awarenesses and qualities can be developed through understanding, reflection, conscious awareness, application and practice. And so… a few reminder “pages”…. 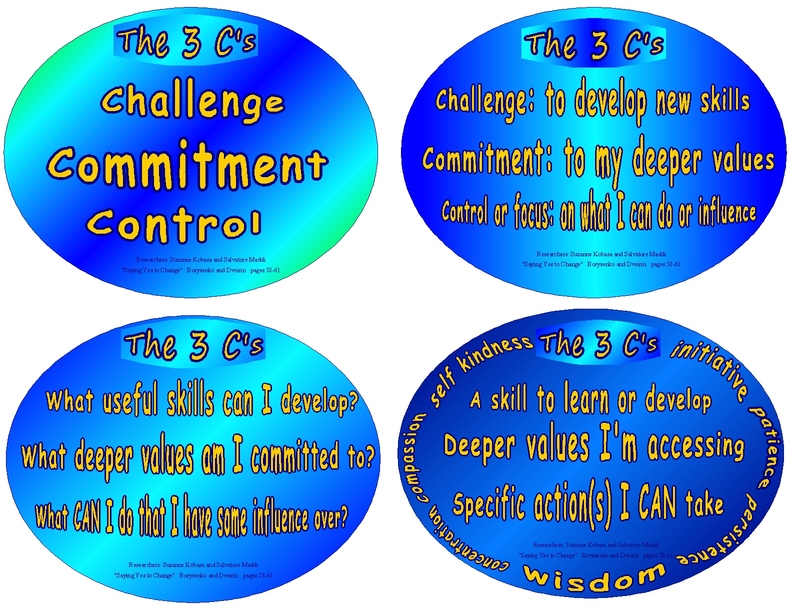 the 3 C’s…. 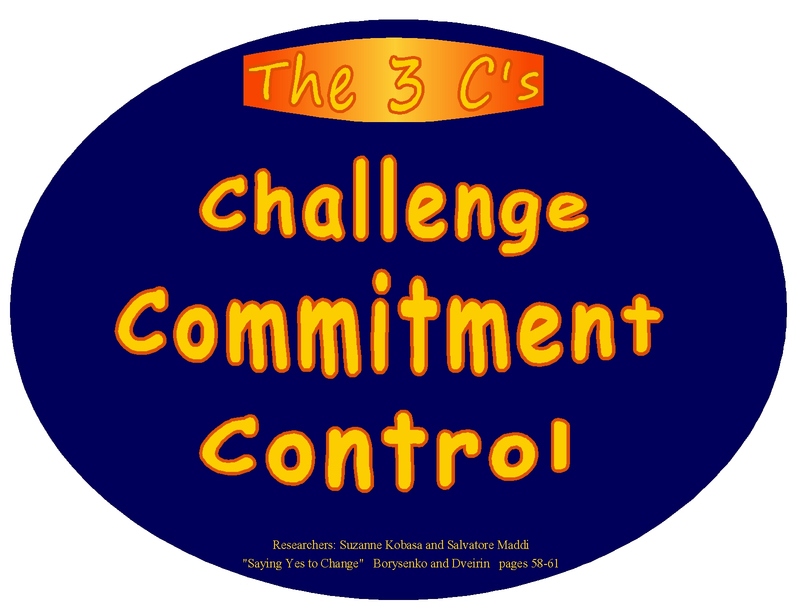 Handling or controlling what I can and letting go of what I can’t…..
a potentially good practice to develop. No matter what skills or qualities we may pursue developing, the underlying qualities that support this learning are of equal importance. Patience, kindness to self and others, effort, persistence, acceptance, tolerance, concentration and wisdom will support the process. 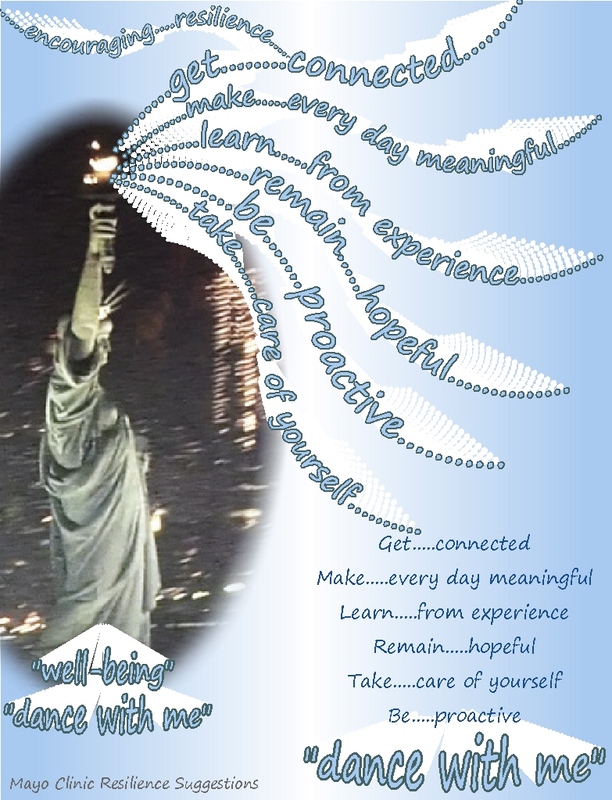 We’re nurturing so many other positive qualities as we pursue any new learning. Added 3 years later, April, 2016… I ‘m STILL trying to learn to use these strategies! 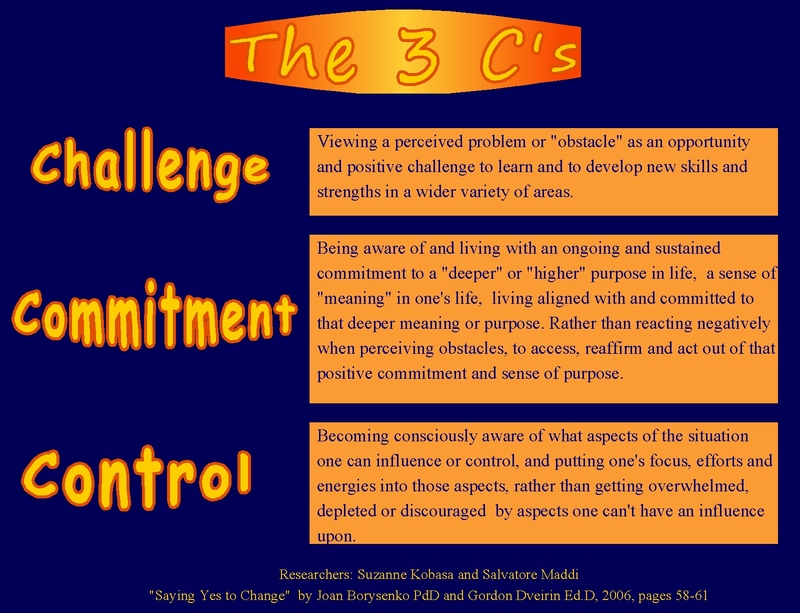 I hit a huge resilience “pot hole” this past fall…so here I go….learning again! This entry was posted in Encouragement, Intention, Life, Motivation and tagged Awareness, Courage, Encouragement, Inspiration, Intention, Life, Mindfulness, Motivation, Strength, Wisdom. Bookmark the permalink. As I move forward into this New Year I am stepping outside my comfort zone. My ongoing “dance” with chronic inflammation necessitates changing things up to better manage my health.The upside of this is that I’m forced to flex my mind. And that, as we all know, is good for my mental well-being…and staving off the devastating effects of Alzheimer’s. Wow PP this is exactly what I needed to read today. Thank you for explaining it to us.. The ability to see challenges as opportunities is what I learned when I walked on the Camino, but in this short time since I’ve been back home I’ve allowed myself to get bogged down with stress and filled my head with noisy silly chatter so the opportunities have flowed past me to be picked up by others …. I hope the ideas are helpful or might provide a springboard. I just revised several of the pages you saw and just inserted them in this post, in case you’re interested. Yes, the opportunity to see challenges as opportunities… a slippery lesson, it seems….tends to slip away, I think. (ah that noisy chatter too…) That’s why I made up these pages. I made a few pages a month ago, about some ideas from Jean Houston’s book, A Passion for the Possible…choosing whether to perceive previous or present challenges or problems as “cauldrons of pain or confusion” or “chalices of opportunity”…I love that idea of transforming challenges into a golden chalice of opportunity. (maybe I’ll post those images someday soon…they really resonate with me, and might with others) I hope you can get jump started! Good reminders, Kathy. 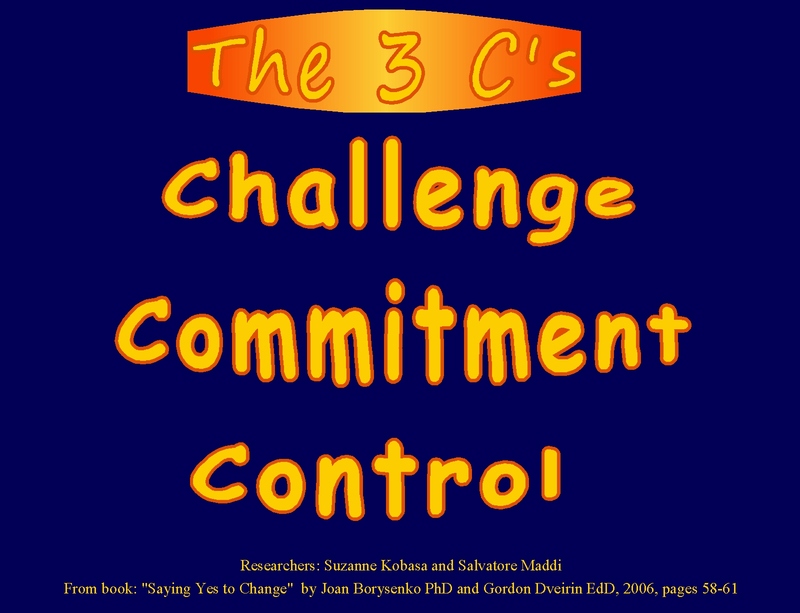 When faced with a challenge, we have lots of options ~ go over it, around it, under it, kick it to the curb, or . . . blast it to bits!